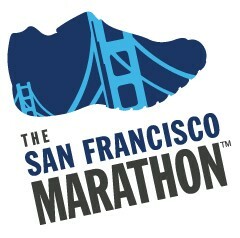 In April of 2011 I had a strange urge to register for the San Francisco Half Marathon happening at the end of July. At that point I had never run farther than 4 miles but I was compelled to give myself a challenge, so 13.1 miles it was. I browsed a few half marathon training schedules and took notes on the gradual progression of distance and intermittent hill runs. I slowly added miles to my daily runs and before I knew it I was running from my apartment, over the Golden Gate Bridge and back (almost 10 miles). After a day or two of hobbling around I was determined to set my sights on the next half marathon and chose the Napa half in October. Once again I steadily increased my distance and decided to embrace the full culture of running including, electrolyte water, gu, protein powder, arm warmers and a Garmin watch. The Napa run looked like it was out of a movie. Pumping up the hills there were cows on my left and vineyards on my right. I didn’t even mind that my music died 4 miles into the race. I felt much more at ease during this run and finished with a PR of 1hour and 46 minutes! Next, on to the FULL MARATHON! UPDATE: I was supposed to run my first full marathon in a few weeks but due to my runners knee over christmas I have decided to not run this race in the interest of my recovery. I am already running 7 miles comfortably again and I am refocusing my energy to race in the Oakland HALF Marathon later in March 🙂 But the full marathon is still part of my to do list in 2012!